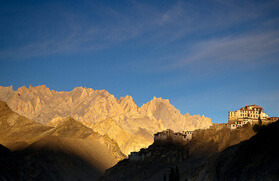 The once independent kingdom of Zanskar lies on a twisted knot of jagged mountains of the Great Himalayan range. Squeezed in between the main crest of the Indian Himalaya and the Indus Valley, Zanskar is well-protected by snow-covered mountain passes. This remote place has contributed its best in keeping alive an ancient form of Tibetan Buddhism that grows in chain of remote monasteries. Most of these faraway monasteries are located high on the rocky edges in remote valleys. Right from high filed camp sites to dry land, snow-covered peaks, old Buddhist monasteries and high passes, this place have much more to serve to the tourist from across the globe. You can see many scenic villages with their irrigated potatoes and barley fields. Also, you can get a chance to interact with the local Zanskari people and learn more about their culture and tradition. All these will leave you with a remarkable life time experience. You can take pleasure of rafting in chilling and freezing cold water of Zanskar River, which is certainly the most attention grabbing activity in remote Zanskar trek. It is quite challenging rafting route that will give you an overwhelming rafting experience. Apart from this, you can also enjoy a comfortable stay in camps set-up on the rocky bank of Zanskar River. 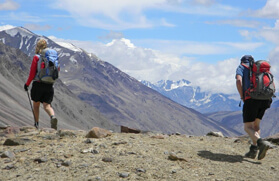 Also, trekking in remote Zanskar will add on to your love for trekking. The place has some of the highest mountain passes across the country. 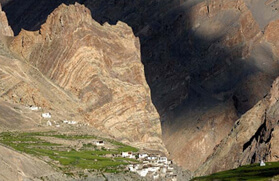 Chadar Trek is one of the famous treks on this route. 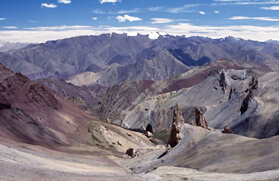 Some other striking treks on this route includes treks are Padum to Lamayuru and Padum to Leh. 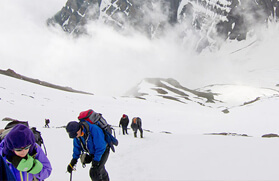 We, at Trekking in India offer amazing Remote Zanskar Trekking Tours that will drive you from great Zanskar monasteries, amazing landscape, beautiful valleys and villages. 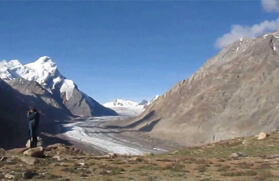 View the incredible beauty of this spectacular place by availing our Remote Zanskar trekking tour. Upon arrival at Delhi airport met our representative and then transfer to hotel for overnight stay. Take the morning flight for Leh. Check into the guest house and relax the whole day. This is necessary for getting acclimatised. Overnight at the guesthouse. In the morning after breakfast drive to Mulbek via Kargil. The drive takes you over the Fotu La. One can visit Lamayuru Monastery enroute. On arrival set out camp for overnight stay. In the morning drive to Ramela via Panikar and Prakachik. One can see the views of magnificent twin peaks of Nun & Kun. On arrival set out camp for overnight stay. In the morning we will drive up to Padum, the starting point of our trek. 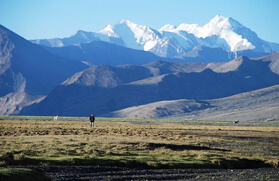 Enroute we will cross Peni La (4421 mts/14500 ft) and from here one can find the magnificent view of the Zanskar range. Dinner and overnight stay in tents. In the morning we will set out for our day one trek up to Zangla. Enroute we will Cross the Tsarap River Bridge & the Karsha Gompa. Overnight stay in tents. After breakfast trek up to Sumdo Village. After few hours of trek we will enter on Zulung valley. On arrival set our camp for overnight stay. In the evening explore the Sumdo village. 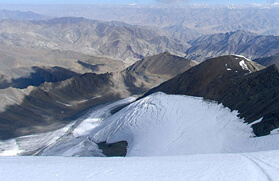 Today we will trek through the Cha Cha La (4950 mts/16236 ft). one can see the beautiful views of the Himalayan Range. On arrival at camp site set out a camp for overnight stay. After breakfast trek up to Tilat Sumdo. In this day we can find some wild life. The route is full of thrill & adventures. Dinner and overnight stay in camp. From Tilat Sumdo we will trek up to the base of Rubang La. Here you can see the Yaks & Horses. On arrival set out camp for overnight stay. Today we will cross the Rubang La (5020 mts/16465 ft) and finally reach one of the most popular valley in Ladakh region; Markha valley. Dinner and overnight stay in camp. 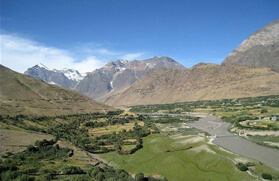 This day we will trek the part of the Zanskar gorge. After few hours we will cross the Markha river. Dinner and overnight stay in camp. Highlights: The Nimaling Plains & the Mani walls and Chortens that dot the trail. 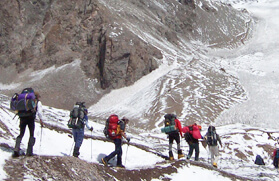 Also a side trip to the base of the Kangyaze peak (6000 mts) is possible. In the morning trek to Sumdo. Enroute we will cross the Kongmaru La (5150 mts/16892 ft) highest pass on the trek, we can see the entire Ladakh and Indus Valley. Dinner and overnight stay in camp. In the morning we will trek up to Hemis Monastery. On arrival at Hemis, visit the monastery and later drive to Leh. Overnight stay in Guest House. The day is for relaxation. Overnight stay in Guest house. In the morning take a flight for Delhi. Upon arrival at Delhi transfer to hotel. By night depart for international airport.